I am an international speaker, blogger and author of this book. 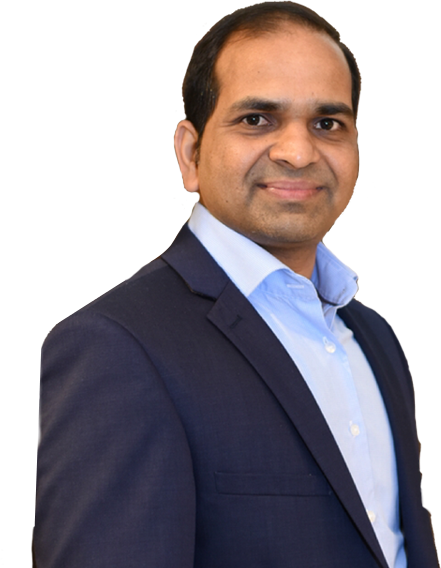 I have spent over five years meeting hundreds of business leaders in multiple industries around the world, helping them to use the emerging disruptive technologies for automation and for their business growth. 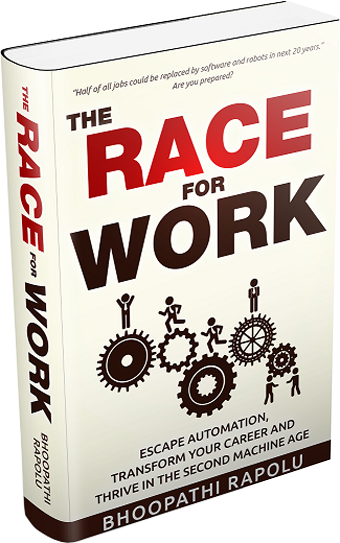 Based on my own personal success story, and hundreds of interactions and dozens of recent books and studies, I wrote The Race for Work to provide you with a real-world guide that helps you escape automation, transform your career, and thrive in the second machine age. I have loads of FREE Resources for you. One of which is a 90 Day Goal Setting Template to implement the core principles of The Race for Work and find your Dream Job. How to win the race against intelligent machines that are taking your job. The proven step-by-step method using which you can find your career fulfilment. Do you feel like you are stuck in a company that is not growing enough and you don’t know how to get into a fast-growing company? In chapter 8, you’ll learn how to find your dream job in any fast-growing technology company or any traditional company that exploits the Big 3 Technologies. Are you considering getting another degree, as opposed to finding your dream job? Before you invest hundreds of thousands of dollars, read Chapter 12 to understand why credentials are becoming less valuable, even as degrees get more expensive. Read Chapter 13 to find your next job that transforms their career. Are you wondering if you made the right choice in developing your business idea? In chapters 2, 3, 6 and 7, you’ll find out whether your current business idea is worth pursuing or not. And if not, what course corrections you can make right now to grow your business exploiting the Big 3 Technologies. The tide has turned and emerging technologies are changing the face of business on a global scale. Will you ride the wave of change or be buried under it?